Best Boy's Fencing Company provides quality fence installations and repairs at reasonable rates. Call 970-215-8876 today to schedule a free and timely estimate, or, send an email to customerservice@bestboysfencing.com! Cerda Fencing is a Colorado based company specializing in fence installations and repairs. Along with the highest quality of installation and materials, at Cerda Fencing you will always receive individualized solutions, prompt service, and competitive pricing. At Cerda Fencing we have an uncompromising commitment to excellence in the installations we perform and the materials we utilize. Cerda Fencing has a wide variety of styles and materials to choose from, including cedar fences, chain link fences, iron fences, vinyl fences, and split rail fences. We have extensive experience installing and repairing all fence sizes and types so CONTACT US for a FREE ESTIMATE today! Your Boulder, CO fence installation and repair professional will work with you to create your ideal fence. 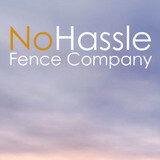 Find a fence contractor in Boulder, CO on Houzz. 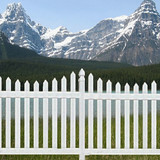 Narrow your search in the Professionals section of the website to Boulder, CO fence contractors. 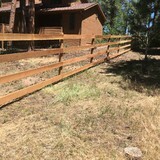 You can also look through Boulder, CO photos to find examples of fencing and gates that you like, then contact the professional who worked on them.